Mainz, Germany / Shanghai, China, March 21, 2019 – At the LNG2019 (Shanghai, April 1-5), the International Technology Group SCHOTT will be presenting its components for the LNG, oil and gas industries at booth 4225. The focus will be on maintenance-free Eternaloc® terminal headers for safely operating cryogenic submerged pumps and turbine expanders in onshore, offshore and small-scale LNG applications. China has become the world’s biggest natural gas importer, covering more than 20% of its demand with liquified natural gas. LNG, cooled to below -161°C (-260°F), is stored and transported in cryogenic tanks. These are loaded and unloaded with submersible pumps. To safely supply electricity to LNG expanders and pumps, special power and instrumentation feedthroughs, so-called terminal headers, are required. SCHOTT has more than 30 years of experience in the development and production of electrical terminal headers for LNG applications. These components must enable the reliable transmission of electrical power and signals through the walls of the cryogenic containment while remaining hermetic tight – even in the event of an accident. SCHOTT Eternaloc® terminal headers use non-aging special glass as the insulation material, with which the electrical contacts of the terminal headers are hermetically sealed. While other methods of sealing, using polymer or ceramic materials, tend to show long-term durability problems, SCHOTT’s unique glass-to-metal sealing technology offers maintenance-free reliability and is estimated as the safest, most proven solution in the market. Complying with ATEX, IECEx and local explosion-proof regulations, SCHOTT’s solution has been performing maintenance-free since 1985 in thousands of on-, offshore as well as small-scale LNG applications, reducing total cost of ownership. In China, cryogenic tanks in many LNG import terminals such as Tangshan, Shanghai or Ningbo as well as LNG peak-shaving and satellite plants have been equipped with Eternaloc® terminal headers. The small-scale LNG market is developing rapidly. 220,000 LNG-fueled trucks are already on China’s streets. The shipping sector is also adopting LNG as an alternative fuel to meet increasing environmental regulations. Ready for the challenges of small-scale applications, SCHOTT recently introduced the Eternaloc® S-Type feedthrough. It features a dual glass-to-metal seal for double safety, yet in an extremely compact size, comparable to a single flange terminal header. 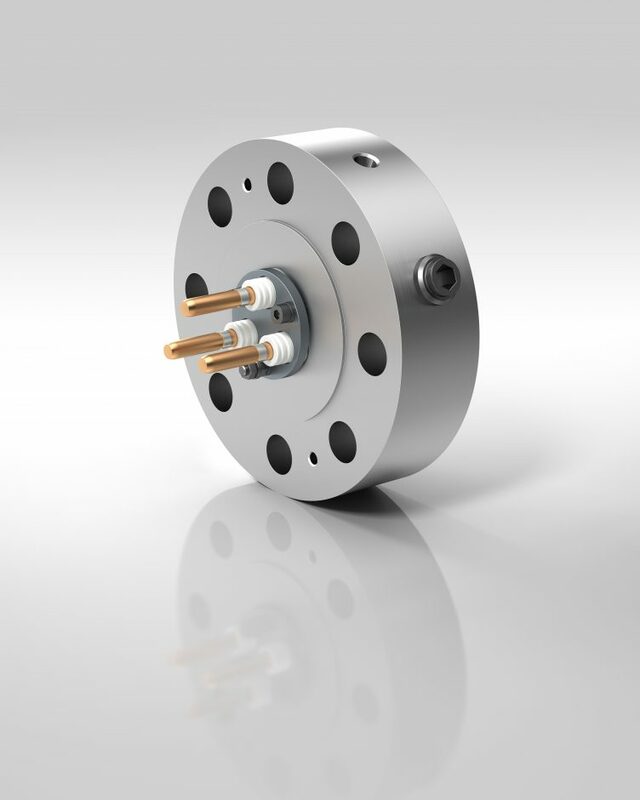 The Eternaloc® S-Type opens up new possibilities in LNG applications with demanding space constraints, yet high safety and durability requirements. 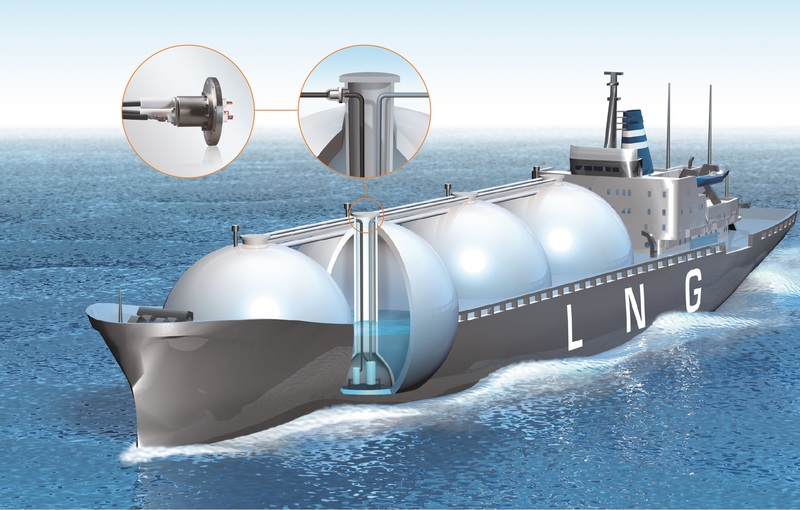 These include storage and fuel systems for mid- and small-scale power generation, ships, trains as well as heavy-duty and passenger vehicles, that utilize LNG as a fuel. Eternaloc® terminal headers are resilient to mechanical and thermal shocks and certified for temperature ranges from -196°C to +100°C (–320°F to +212°F). An attuned electrical assembly including conduit, cable, junction box and cable gland for connecting with the external electricity supply, as well as the cryo-cables for use inside the tank can all be included for easy and low-cost installation. For more information on SCHOTT’s terminal headers for LNG applications, please visit the website. SCHOTT’s Electronic Packaging Business Unit, is a worldwide leading manufacturer of electrical feedthroughs for harsh environment applications like LNG vessels, terminals and nuclear power plants. With 1,500 employees at five production locations and several competence centers worldwide, local customer support, and co-developments are the heart of the business. 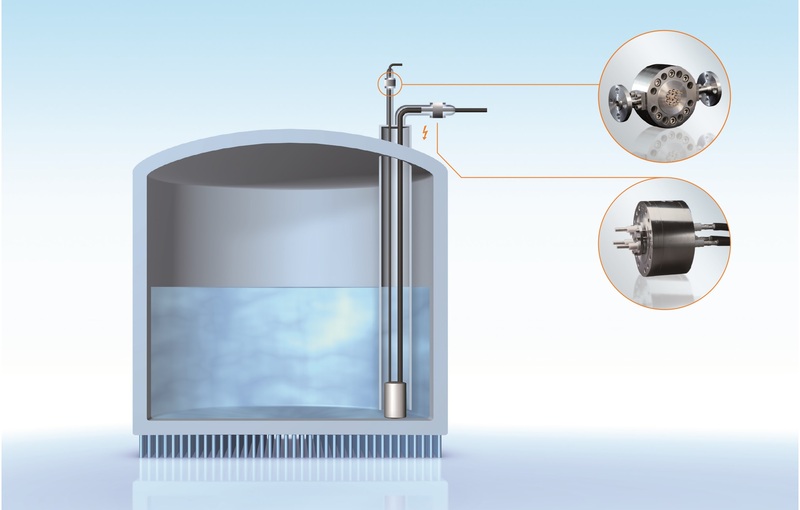 Drawing upon more than 130 years of experience in specialized glass technologies, SCHOTT’s feedthroughs for submerged pumps and turbine expanders are installed in storage tanks, LNG vessels, and in power generators for CNG. SCHOTT Eternaloc terminal header assemblies are ATEX and IECEx certified and remain maintenance-free over decades. Available with single or double seals, they are based on proprietary glass-to-metal sealing technology, which is deemed to be the safest technology available today. For more information, visit www.schott.com/epackaging.